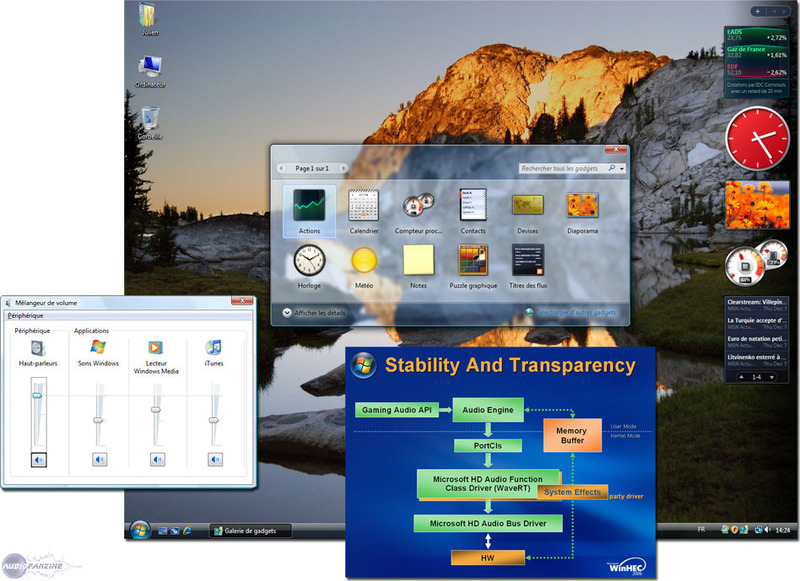 Windows Vista, Operating System from Microsoft in the Windows series. Installation very simple and very well done (while chart). The rtrocompatibilit is not strong Microsoft ... My Sony Acid Pro 6 plant every turn, my Steinberg Wavelab 5 simply closes soon as I try to open a file, etc. ... So the big M ****. I possde laptop (Intel Core Duo 2x2 GHz / 2 GB RAM). The Superfetch service is very efficient. It allows you to launch applications often used faster prchargant of o fat consumption RAM memory DLL. I used a few days. I quickly board compatibilits XP because of software problems. Vista is pretty, Superfetch does its job but the problems of compatibilits just spoil everything. At that price it would feel l have expected better. In conclusion, I would say that Vista is really not ready for professional use. we chose the language that you want to install and roll my chicken. I just install some games like morrowind and vierux tony hawk and without problems. dvd burner etc. everything is absolutely no problem recognized genial! - What performance? there is a performance indicator that is based on the lowest value, it is my ram is at 2.9 but given that no scale is not known is what it is lol. Apart from the first time I turned off my pc with the new system there AEU bug with a screen to type matrix. if any bug system fluid enough I was expecting worse! 3d that the office is setting a new side bar and I put the new FA with RSS feeds. the least expensive product very particular to put in a pocket of this bill *** gate. bin I try almost all the family: 3.1 98 2000 xpsp1 xpsp2 and then vista (also AGNULA Kaela knoopix etc.) vista looks to me very interesting although I have not finished exploring all. 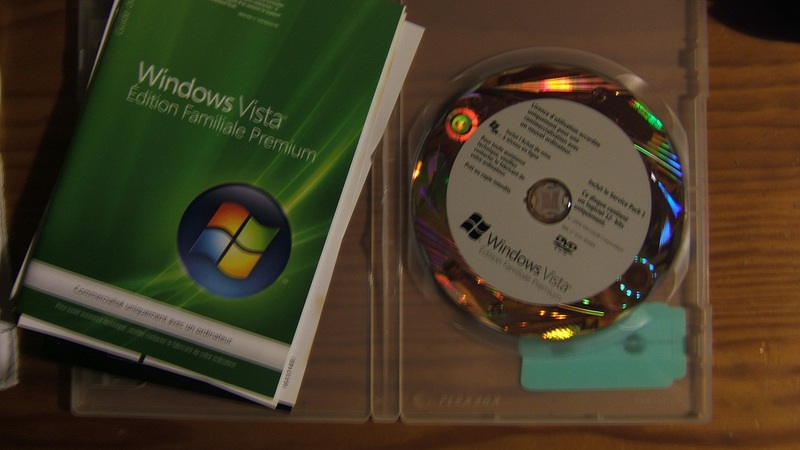 I bought a Vista Home I installed on my new pc. I chose to be compatible with vista DirectX10 games in the coming months. I can not wait to play Crysis but I expect that DirectX10 graphics card to be cheaper and the games is available. Vista is installed without problem, but I preferred to details during installation. At times you wonder if the pc install something or if it is bug. Nothing indicates the progress. Nvidia drivers were installed correctly. As for my sound card I have not found any drivers soundmax. All the features do not work, but enough to play and chat. "Asus m2n sli deluxe amd x2 3800, 1G Corsair DDR2 800mhz, nvidia 7600GS"
For now, I am disappointed with the features are offered by vista. But where did the defragmenter with its GUI? Vista is unable to defragment the disk properly, or even to display a percentage. It took me to install third party software to do the job for him (O & O Defrag). While the vista defragmenter announced that no defrag was needed, O & O Defrag to find 12% of files to defragment. Every time I play Battlefield2 disk is very fragmented. With Xp, I defragment after each game. Now with Vista and fully automatic we know nothing about the state of the disc and best of all it is unable to do the job. I have yet to turn left overnight with the optimizer "Live one care" in the workplace. The optimizer has just defragmented the hard but with 12% remaining defrag is not at work. For me Vista is an OS, giving the impression of being not finished or even sloppy, and takes a lot of system resources. I'm using vista for about a month, only for me to train, play and chat. Everything else I did on Linux, which fills me with features. For me, Vista will be very expensive for users who do not know any other OS than Windows this, Windows that. We'll have to pay dearly for a particular functionality. In short, I hope at least that DirectX 10 worth it, if my investment would have no meaning.